In the ever growing technological advancement era, it is difficult to keep a track of changing upgrades. The major upgradation is happening in the domain of software coding and algorithm building. The coding platforms and the developing softwares are updated and changed day by day and simultaneously various source code building languages are invented. The computer readable formatting and processing has also gained impetus due to the fast paced conversion of these languages to machine readable languages. The major player for such development are the Integrated Development Environment (IDE). Source code editor- These generally provides the paraphrasing and syntax errors in the source code and fixes them. Build automation tools- These refers to the interlinking of various functions in the code and help to automate it. Debugger- This is basically used in debugging function to find the bugs in the codes and thereby fix it. Intelligent code completion- Nowadays this feature is also introduced in the modern IDEs which helps in completion of the codes in a smoother way. 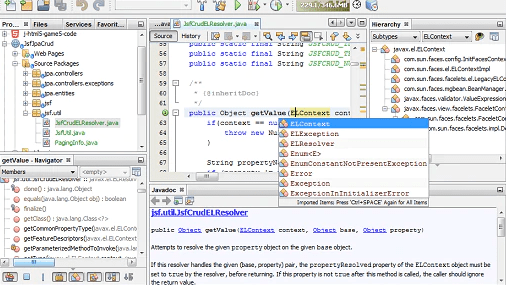 These functions are basically ingrained and they make up for the pre-requisites of an IDE but nowadays these are generally being combined and used in Graphic User Interfaces or GUIs which gives these a new cutting edge approach as well as makes the GUIs specific computer as well as specific operating systems compatible. The major glitch in IDEs is it’s difficulty in demarcating the line between the integrated development environment and the components of broader software environment. This leads to compatibility issues with the software and also causes problems to execute the code on the particular operating systems. Due to these reasons, various IDEs have been created for functioning of specific computer languages on such platforms which works best with the particular operating systems and gives a better and an efficient output. Moreover, it also avoids unnecessary decoding or decrypting functions to be used in the particular software and thus generates a faster environment of output generation without unnecessary wastage of storage memory. Nowadays, internet is taking the world at a greater level altogether and so it was inevitable that sooner or later these IDEs would also be integrated somewhere or the other with internet. Thus the evolution of web based IDEs have taken place which are working on many portable web browsers like Google Chrome, Internet Explorer or Mozilla Firefox etc and they provide the comfort of same basic and conventional IDE with an upgradation to portability and wide access throughout the globe. 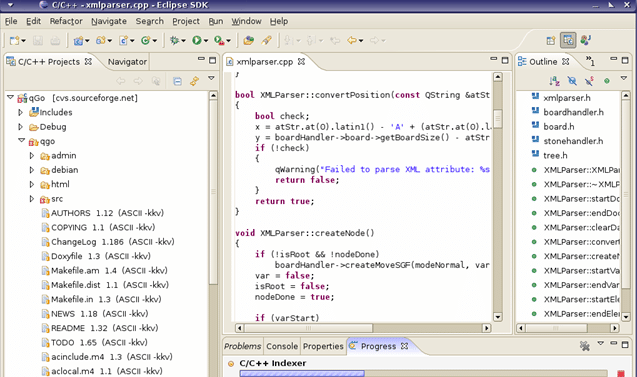 These IDEs use the computer language C++ and uses it in the form of a compiler to run the source code and the object code into a machine readable format and thus run the entire program to get the desired output. This is a simple task but the best C++ IDEs if used on the proper operating systems gives the best results without and stack overflow or wastage of memory space. Visual Studio is quite fast and has amazing zooming and retracting features which gives the user a wholesome view of the entire code sequence and it is easier to maneuver the mistakes and syntax errors in the code and simultaneously fix it. 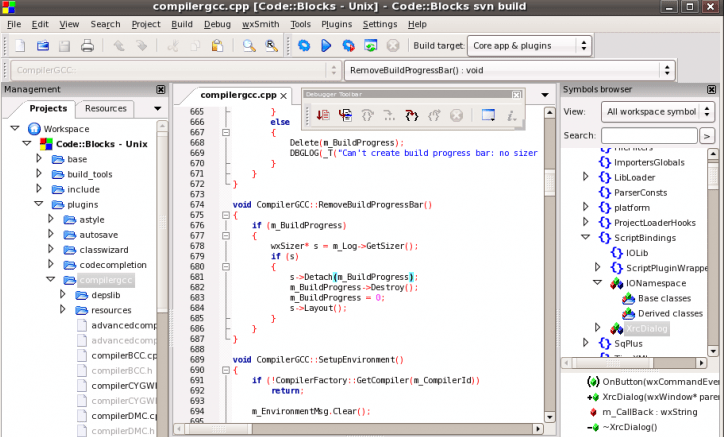 Visual Studio is also the best C++ IDE for Windows operating system. The Express version is free of cost and is best suited for one person but if there is a group project involved then one has to go for Pro Version for which you have to pay a nominal sum. Another major important feature is that it also includes other popular languages in the list and thus it becomes easier to switch accordingly. Has good support structure for code analysis. Good and efficient refactoring and code compiling set up. It works across multiple platforms. It also has drag and drop functionality. There are various keyboard shortcuts to provide easy access. Support and backup strength is also good. It provides various services which are impeccable and class apart from any other IDEs. It has one of the best remote development, best compiler configuration, and a C++ 11 Support system which provides protection during any software crash and provides backup for the lost code. It can create as well as run C++ tests from within. It can automatically archive compiled files into .zip files. It also has advanced debugger tools like GNU GDB Debugger tool. Thus Netbeans provides a major boost to the user and efficiently guides the user to an easier route towards systematic and efficient coding. It is fully extendable and configurable to the plugins. It has state of the art support and compiling mechanism. It is basically a class browser so it can clearly visualize object oriented programming. It also has integral GUI interfacing. It also has auto compilation and profiling tools. Generic support given to the compilers. Fast and efficient code completion tool. Can access inbuilt RAD tools for Widget based application. Has features of class browsing, profiling and refactoring. It has inbuilt set up to compile and run user codes. It has enablement of code navigation and call tips. 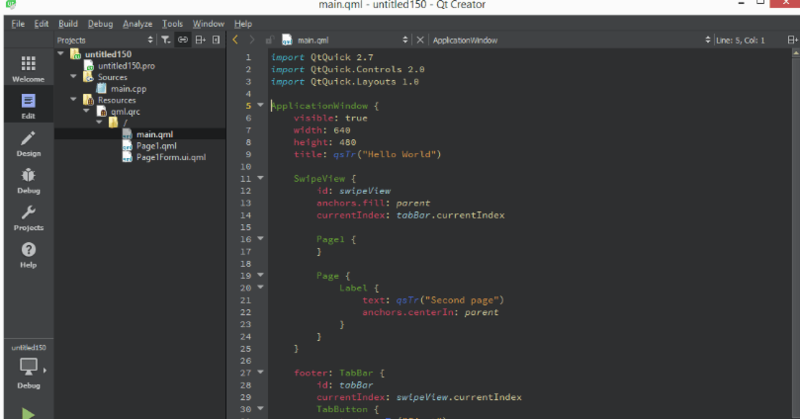 It also has support for syntax highlighting. Which are the top three C++ IDEs to be used for cross platform usage? What are the available options for beginners and which platform to choose? Ans- For any beginner coder, it is easier to start from Visual Studio and thereby progress to other IDE but it is also advantageous to initially get set with Eclipse CDT, though it seems difficult at start but with continued practice, it becomes easier to build on it. Thus after the much elaborate discussion on integrated development environment it is pertinent to note that the market provides us with major varieties of options and the software industry with its ever increasing and innovating ways always surprises the user. Thus it is better to go for an advanced tool to begin with in order to save money and time and also get better hands on experience on professional working tools which can be upgraded later for major uses. Thus to sum up, it is preferable to use multi language supporting platforms like Eclipse and NetBean which provides extensive features and also does not restrict the user to one particular language but rather gives wide choices as per the convenience and given operating system.